Robert (Rob) Roper, Professor of Business Administration, has been teaching at UMA since 1987, primarily on the Bangor Campus. His teaching areas include business, economics, and computer software. For the CIS program, he teaches CIS 100 (Introduction to Computers), CIS 135 (Introduction to Information Systems and Applications Development), and CIS 470 (Project Management). 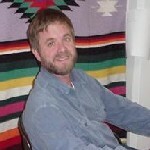 Professor Roper holds a MA in Economics and a MS in Community Development, both from the University of Maine.